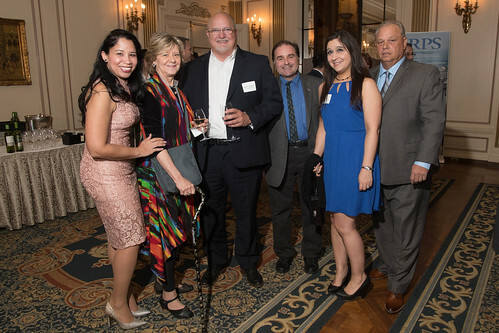 On Thursday April, 26th, The Chilean and American Chamber of Commerce of Greater Philadelphia (CACC) held its 13th Annual Experience the Taste of Chile Wine Tasting and Dinner at the historic Hotel du Pont in Wilmington, Delaware. 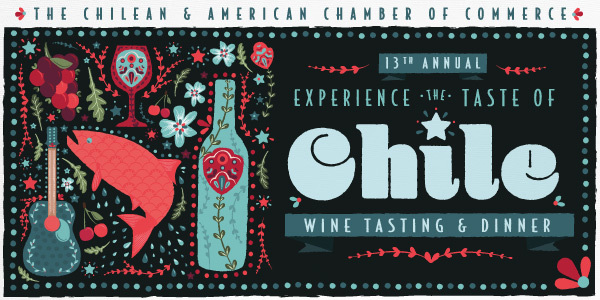 The evening kicked off with a wine reception as attendees enjoyed tastings from a variety of Chilean wines on display. Guests networked and enjoyed music before being led into the Gold Ballroom for the remainder of the evening. Once attendees had taken their seats, CACC Board President Robert Palaima took the stage to recognize and offer congratulations to the Maritime Exchange for the Delaware River and Bay, the recipient of the 2018 Visionary Award for their work with the Ports of the Delaware Valley. Palaima then thanked sponsors, special guests, and attendees that had travelled from far away to attend the night’s program. Among those in attendance were Presenting Partners of the evening, the founding members of Ch1l3 a Digital Country_ as well as the Chilean Delegation visiting from the VI Region (O’Higgins) in Chile, which included the 2014 Visionary Award Recipient Alejandro García Huidobro, Senator of the Republic of Chile. Robert Palaima then handed the microphone to Anne Bookout of Royal Fumigation, one of the evening’s Presenting Sponsors. Bookout expressed her delight in being a sponsor for the event and thanked the Chamber for its continued commitment to strengthening the relationship between Chile and the United States throughout all channels of commerce and communication. Next to take the stage was Martin Lewit of Ki Teknology and Nisum Chile, a founding member of Ch1l3 a Digital Country_. Lewit explained the importance of tech in Chile, noting Chile as the largest consumer of tech in Latin America. He then spoke to the long history Chile has with the CACC and explained its important role in introducing his new technolgy brand to the United States. 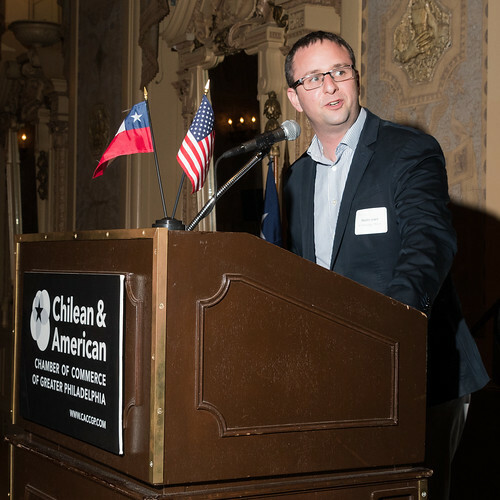 Lewit explained that it is this relationship, and events like the Taste of Chile, that motivated Ch1l3 a Digital Country_ to venture into Philadelphia as one of its top three destinations in the U.S. and made him so happy to once again be visiting from South America. Before dinner was served, Robert Palaima invited Sebastian Goycoolea and Chris Fream of BluGlacier, one of the three largest importers of Chilean salmon to the U.S., to the stage to speak about their fresh Chilean salmon products and thanked them for their generous donation of salmon for all to enjoy. Following dinner, Miriam Borja-Fisher of Western Fumigation and Treasurer of the CACC took the stage. Borja-Fisher reminisced of her time spent in Chile this past September and once again welcomed the Chilean Delegation from the O’Higgin’s region before welcoming Chilean Senator Alejandro García Huidobro to the stage. After greeting those in attendance and thanking all for welcoming him back to the region, Senator García Huidobro spoke to the strong relationship his region has with Philadelphia. García Huidobro emphasized that he feels like a part of the Chamber and expressed his gratitude for its role in strengthening international relations between the two regions. Senator García Huidobro also called to attention the Chamber’s role in welcoming four Chilean students to the United States, which Board President Robert Palaima would later call one of the Chamber’s most rewarding efforts. Following Senator García Huidobro, United States Senator Tom Carper spoke about Chile and its growing rank as one of the United States’ best friends and most valuable trading partners, stressing the importance in the continuation of this strong relationship. Jeffrey Bullock, Secretary of State of Delaware, then took the stage to introduce the night’s honorees. Bullock thanked Senator Carper, noting that there is no better supporter of the Maritime Industry. Bullock congratulated the Maritime Exchange and explained that no candidate was a better fit to receive this award. 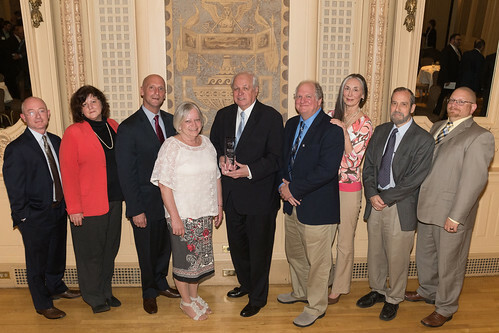 Through its advocacy and promotion of Delaware River Commerce and its support of the Chamber, the Maritime Exchange was the most worthy recipient for the award. 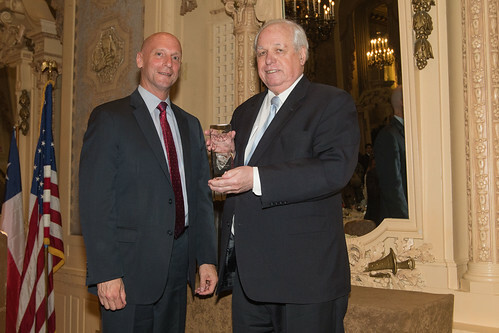 Bullock then invited Dennis Rochford, President of the Maritime Exchange and CACC Board Member, to the podium to accept the award for the Maritime Exchange for the Delaware River and Bay. Rochford explained how honored he was to be receiving the award and thanked his board members and staff for their efforts within the organization. 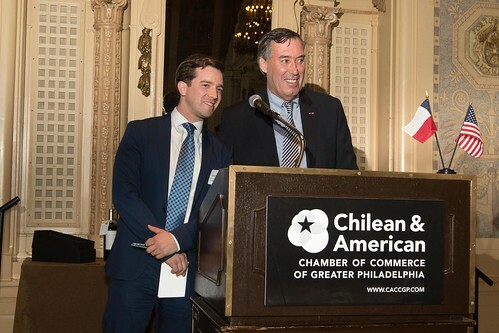 By working with its partners in Chile, as well as local stakeholders of the Delaware River, the Maritime Exchange has undertaken several initiatives to protect and grow the perishable cargoes exported to the US from Chile. Rochford noted some of the Maritime Exchange’s most recent accomplishments including its work in facilitating the creation of the Cold Storage Facility Task Force and the CBP – Agriculture Working Group. 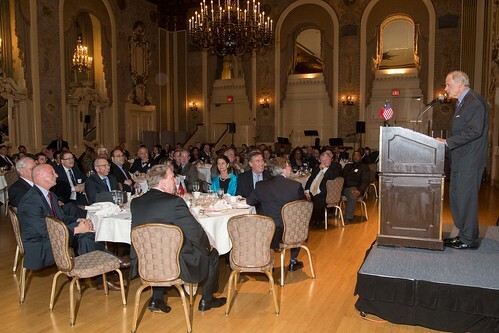 Before exiting the stage, Rochford once again thanked those in attendance and recognized the region’s congressional delegation for its interest and support of the Maritime Exchange in achieving its goals for the organization. 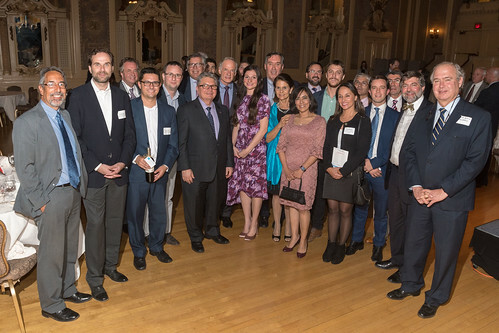 The CACCGP would like to thank all of the sponsors, presenting partners, special guests, and attendees of this esteemed event, and also to Presenting Partners ProChile DC for facilitating the donation of fresh Chilean Salmon for the evening.